Loch Goil seal colony is a group of friendly seals who inhabit the rocky outcrops on the shore of Loch Goil. The best way to visit is to take a cruise from one of the operators on the loch at Lochgoilhead or charter your own boat or kayak and explore further. If you are walking on the hills surrounding Loch Goil you should be able to observe the seals on a clear day as they enjoy basking in the sunshine and warming up. 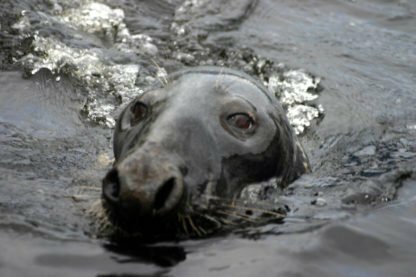 The loch is not only inhabited by seals but by many other sea faring animals and while you are out on the water you may also see the local porpoises playing in the water. If you need accommodation when you have spent a day on the water or walking the hills there are plenty of great hotels close by.